Each day African American Golf Hall of Famer Jimmy Garvin walks nine holes at Marlton Golf Course in Upper Marlboro. It is a personal tradition that began when he was general manager of Langston Golf Course in D.C. Come rain or shine that time of solitude gives Garvin a chance to reflect while preparing for the day to come. These days when Garvin reflects on his great accomplishments they are tempered by the memories of how what he built on `in northeast Washington was torn apart. His book “Legacy of a Common Man The Walk was Uphill” tells the story of how blind trust and greed ruined his Langston Legacy Golf Foundation and nearly destroyed his legacy. 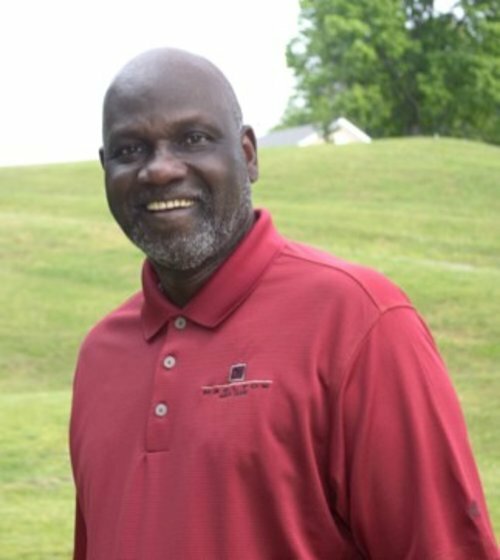 As Garvin continues to rebuild his reputation he hopes that the same magic which made him such a success at building Langston to international prominence will cultivate a new generation of minority championship golfers and collegiate student-athletes from Prince George’s County. “We can have the same impact on the kids of this community that we had at Langston,” Garvin told the AFRO. “Our foundation is in place and we’re just getting started”. Garvin pled guilty in January 2012 to one count of misprision of a felony (theft or bribery concerning programs receiving federal funds). He was one of five people who plead guilty to charges in an investigation into activities involving former D.C. Councilman Harry L. Thomas, Jr. Thomas served 38 months after pleading guilty to charges following a federal investigation that uncovered a scheme where more than $350,000 in taxpayers’ money that was earmarked for the arts, youth recreation, and summer programs was used for his personal benefit. As general manager of Langston, Garvin was an unblemished pillar of the community. His non-profit organization – Langston in the 21st Century – established community based programs that operated youth activities such as afterschool computer literacy, mentoring, and SAT prep at Langston for kids primarily located in Ward 5 of the District. Garvin always used “golf as the karat but education is the key” as the mantra for cultivating student-athletes who applied principles learned on the course, which led to their academic success. He also tutored young people with the same tenacity of his mentor and coach former Washington Senator Chuck Hinton. Hinton, who was baseball coach at Howard University after his career, recruited Garvin from Immokalee, Florida. He coached him to play baseball but taught him life lessons through golf. Garvin’s programs at Langston led to more than 60 athletic scholarships for its alumni to attend and compete at major colleges around the country. His youth teams developed and competed against the best from the Bahamas and other countries and won. After more than 20 years of making a significant impact on the lives of kids in ward 5 and it was gone in an instant. After being forced to resign from Langston and Golf Course Specialists Garvin brought his experience and expertise to Marlton who desperately needed a makeover. He reached into his bag once again began rebuilding the brand of a troubled course. Garvin is the architect for the club’s renovation and is overseeing everything from grounds keeping to generating new business. Marlton’s grounds have been refurbished under his care and golfers are slowly returning to book tournaments and single rounds although the industry has seen a decline nationwide. The club now features its own interpretive education programs featuring STEM and a competitive golf ministry between youth church teams from North Carolina and D.C.
His Jimmy Garvin Legacy Foundation will host its 17th annual tournament September to fund its travel, golf and education initiatives that expose kid to a different sports culture.